Author Dave Hoekstra used the resources of the John & Bonnie Boyd Hospitality & Culinary Library for a significant portion of his research for The Peoples Place: Soul Food Restaurants and Reminiscences from the Civil Rights Era to Today. Mr. Hoekstra's work relied on unique research materials available only at the Culinary Library and so can yours! Come see what we have to offer in regards to research, study, and your own culinary adventures. 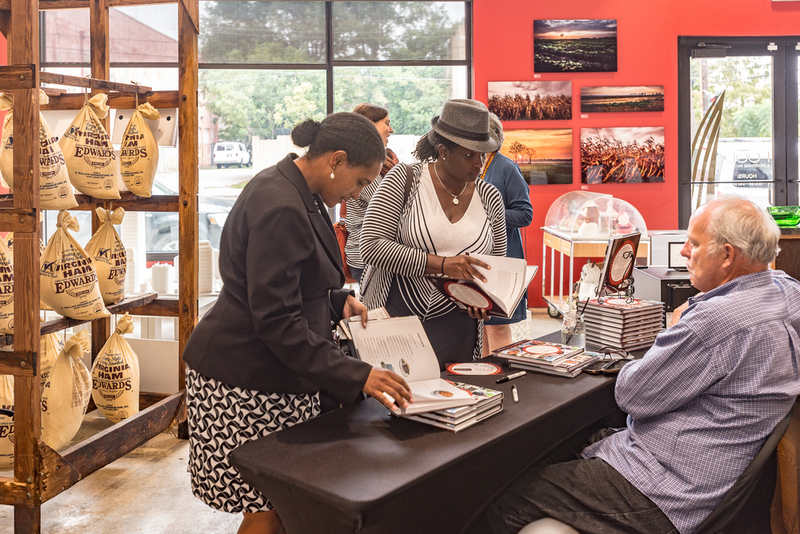 The People's Place exhibit, currently on display at the Southern Food and Beverage Museum, features 20 photographs by Paul Natkin from the book documenting the strong men and women behind the restaurants featured in the book. The exhibit opened October 3, 2015, with both Hoekstra and Natkin in attendance.